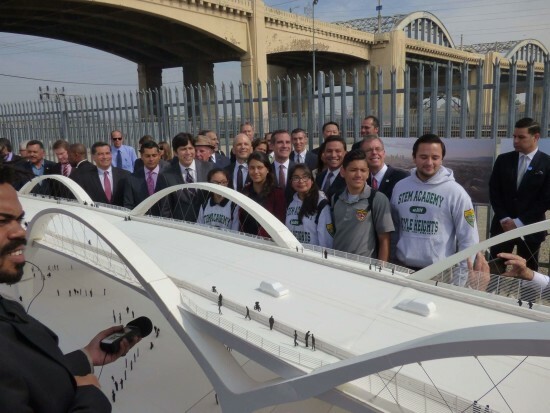 So long, Sixth Street Bridge. We knew it was coming, but Wednesday marked the last day the iconic Art Deco span would be open to the public. 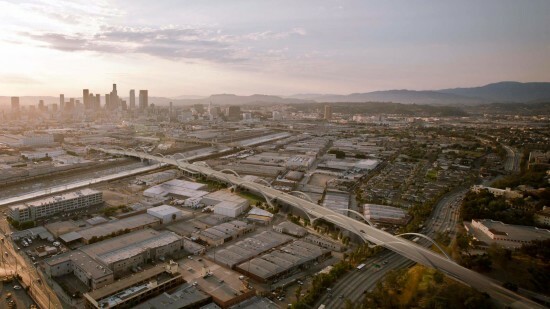 Built in 1932, the iconic double-loop overpass over the L.A. River will live on in movies, videos, and photos. A victim of age, the bridge was declared unsalvageable due to irreversible decay in 2012 and the Bureau of Engineering launched a competition to design a new, $400 million, cable stayed structure. 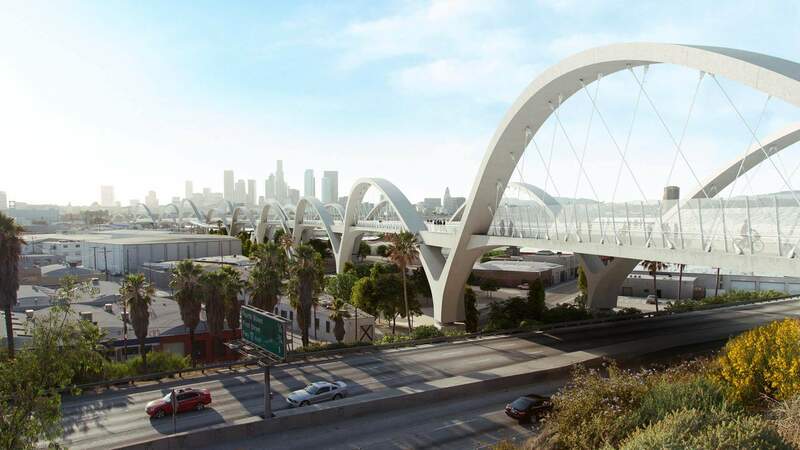 HNTB with Michael Maltzan Architecture came out the winners in that infrastructural bout and with the demise of the old bridge their loop-de-loop ten-arch span is one step closer to realization. 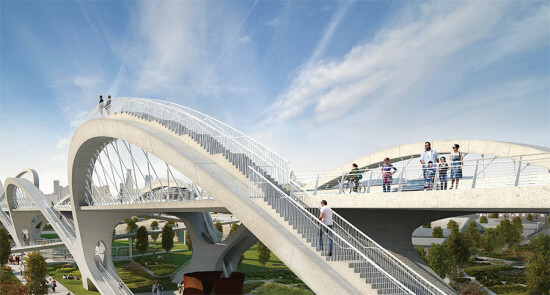 The mayor’s office released new renderings of the bridge that look decidedly toned down from the 2012 winning boards. 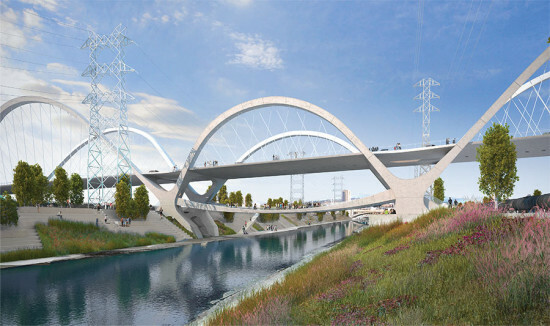 While older images depicted stairways built into the arches so that pedestrians could get an elevated view and the concrete embankments planted with wildflowers, updated renderings depict a staid park in the shade of the roadbed. Developer Leonard Hill (a founding partner of Linear City Development) recently gave a $1.9 million gift to the Mayor’s Fund for Los Angeles. Those moneys were earmarked to fund the design, construction, and programming of an arts plaza beneath the new Sixth Street Bridge. With such a contribution, one might hope that the park space slated to open in 2019 will be more fully realized than the uninspired placeholder suggested in the renderings.